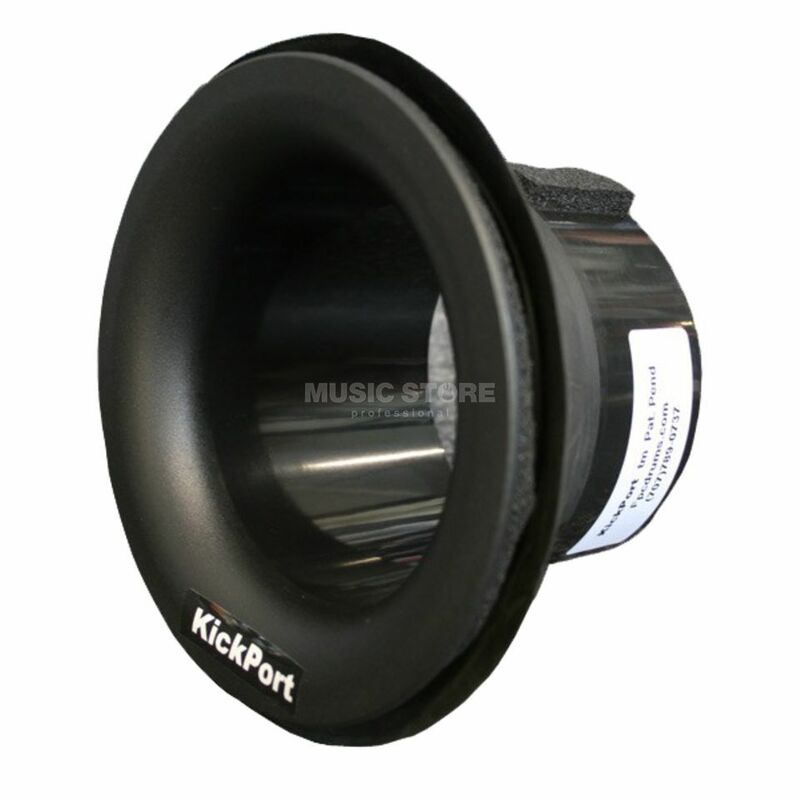 The KickPort Bass Drum Port Black is allows drummers to experience the improved feel, power and tonal qualities of any bass drum from the enhanced subsonic frequencies simply and easily. Instantly achieve a smoother, more focused natural overall sound with more impact from any bass drum – all sizes, brands, and materials. Considered one of the most important “breakthrough” accessories in decades, and recognized throughout the music industry as a “must have” innovation for drummers of all styles, the Patented Award-Winning KickPort® is an essential component to get the most from your bass drum sound in every genre of music. Maximizes natural tonal qualities of any drum. Increases attack and definition with improved feel & more power. Versatile, affordable, portable and easy to install. This was the best thing a bass drum can have to realy boost up the sound of the kick. Realy good sound, the attack its really good, reducing the reverberation of the finishing sound. Realy good. This little piece of gear greatly enhances my bass drum sound. It really brings out the low end. Also great that it's reusable, so you do not need to buy a new one each time you change your resonant head.